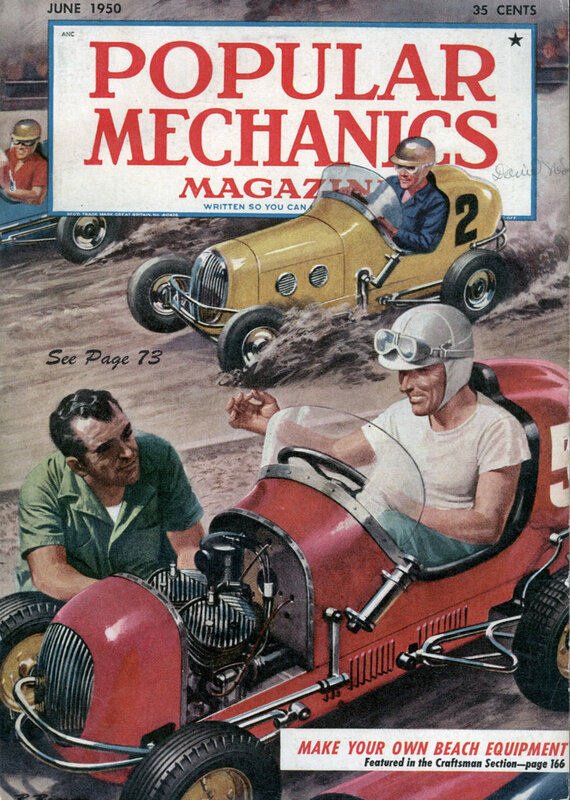 With the frame and wheels of a 1934 Ford, a 12-horsepower four-cylinder water-cooled engine, a clutch, transmission and rear end from a junk yard, a former instructor at Dakota Wesleyan University built a unique automobile. The body of the car was made from scrap lumber, covered with hardboard and held together by two boxes of screws. Headlights, tail-lights, radiator grille and windshield were obtained at minimum prices. The hood ornament was the container for an airplane’s loop antenna and a glass dome for the top is from a refrigerator. 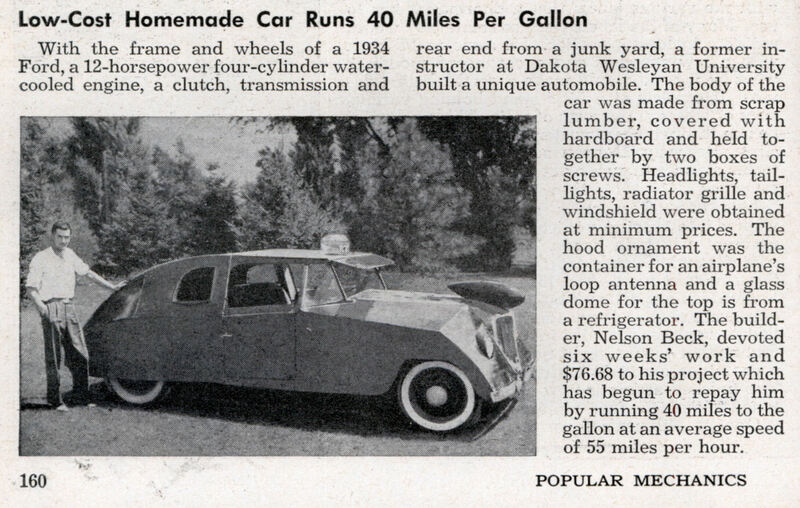 The builder, Nelson Beck, devoted six weeks’ work and $76.68 to his project which has begun to repay him by running 40 miles to the gallon at an average speed of 55 miles per hour. WOW. I don’t know much about how cars work but made out of wood?? It sounds like a firetrap to me. And 12 hp!!! I wonder what happened to the wood in the rain? And a collision would be rather spectacular. Aren’t boats made out of wood and don’t they also sit in water? A 40 mpg vehicle in 1950 would have been incredible. to send you a e-mail. I built a car from scratch and got it insured through Progressive Direct. A lot of cars with repairs needed are just as complicated as it is.